1. 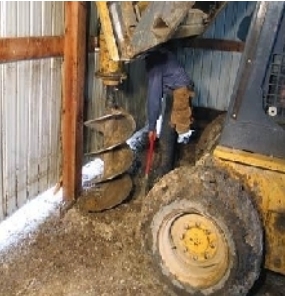 Locate rotten post to be replaced. 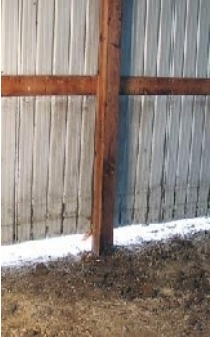 Detach siding and remove existing skirt board. 2. 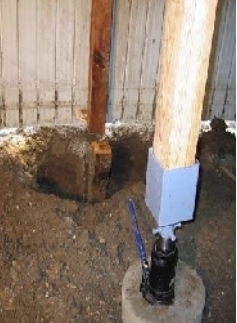 Dig down next to face and sides of rotten post with auger. 3. Support truss with brace and hydraulic jack. 4. 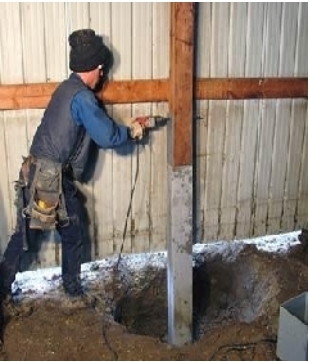 Cut rotten post off at ground level. No measuring necessary at this point. 5. Remove rotten portion of post. 6. 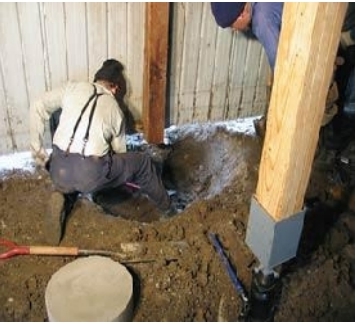 Clean out post hole to provide a level, compacted base for the pre-cast concrete pad. 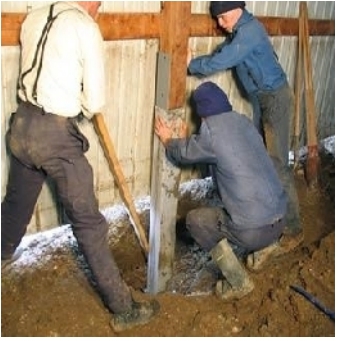 Sakrete or ready mix concrete can also be used for post base. 7. 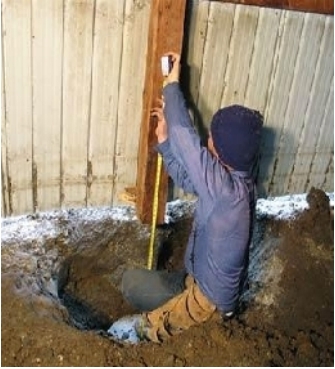 Install pad and measure the Perma-Column for exact clearance needed. *Note: Perma-Column length may vary. 8. 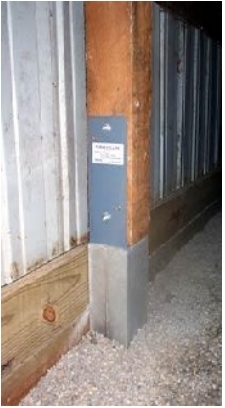 Mark existing post and cut to desired clearance for Perma-Column installation. 9. 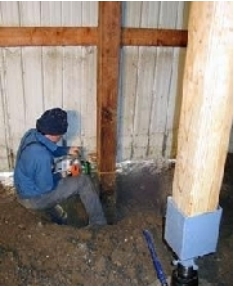 Install and position Perma-Column. 10. 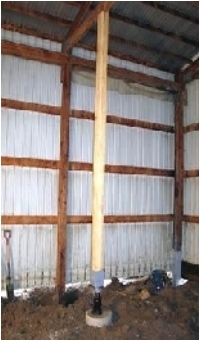 Install 1/4" x 3" wood lags. Drill and install (2) 1/2" bolts. 11. Reattach siding and skirt board.